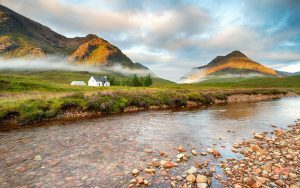 Kathleen’s Croft is a charming white-painted croft house on the west coast of the Highlands of Scotland. 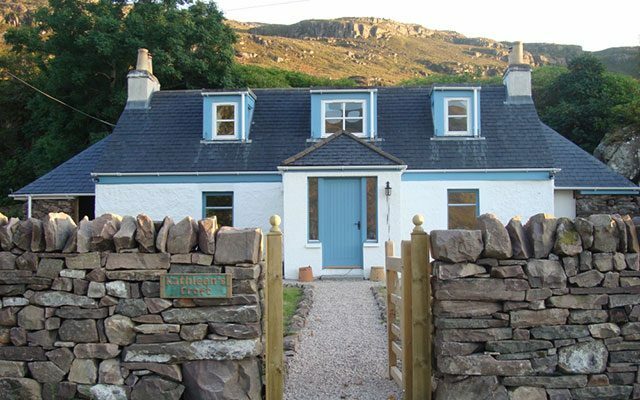 Overlooking Loch Torridon and the majestic splendours of the Torridon hills, this cottage is cosy and comfortable, warm and charming, and has views to die for! A real home from home for 2-6 people. Exposed beams, wooden floors, rugs and carpets, soft colours and gorgeous thick lined curtains…..so cosy! 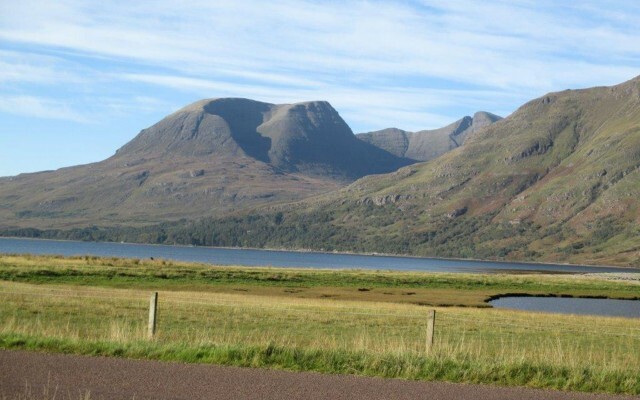 A paradise for walkers, there are lochside rambles; remote majestic corries; a traverse of Beinn Alligin or the pinnacle ridge of Liathach. 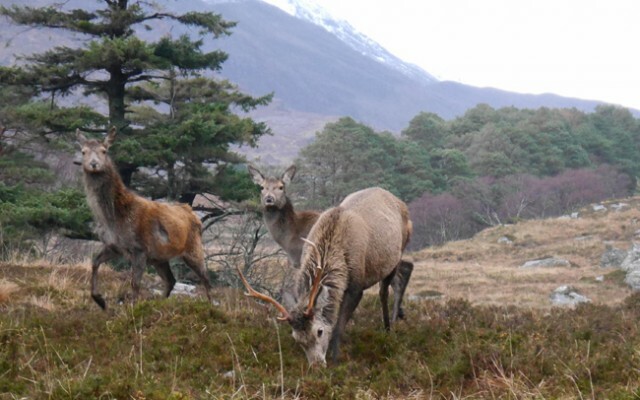 Look out for Red Deer, Golden & Sea Eagles and Otters are just some of the wildlife here. Try some fishing on one of the hill lochs or rent a canoe to explore the little bays around the Loch. Kathleen’s Croft has 3 bedrooms, 1 bathroom, living room, dining room and kitchen, stunning study space on landing and a fully enclosed walled garden. Just over an hour from Inverness. 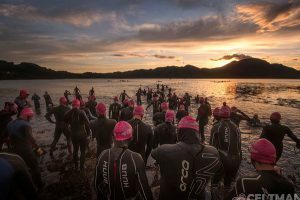 We occasionally send out a newsletter announcing our latest news and special offers. To subscribe please sign up by completing your email address below. Kathleen’s Croft is a beautiful place to stay - the photos really don’t do justice to this lovely house. We stayed a few weekends before Christmas with friends and the house was beautifully decorated making it extra special. Very clean, comfy beds, a very well equipped kitchen and wine, milk and biscuits to greet you! The stunning location tops it off!"